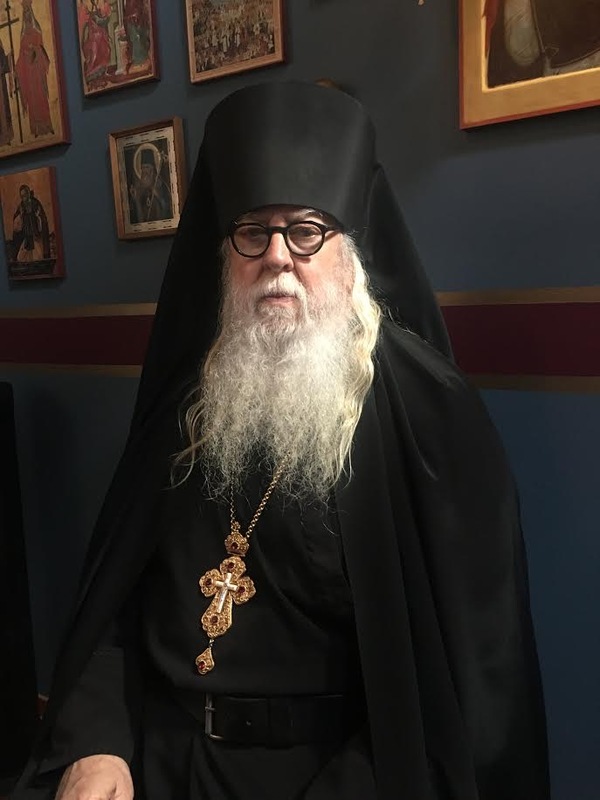 These words of His All Holiness Bartholomew, the Ecumenical Patriarch, ring so true to me, both as an Orthodox Christian, and as a man who has always loved the outdoors. Some of my earliest memories are the camping trips we would take, as a family, pitching a tent by an idyllic lake in Northern Idaho, cooking over a fire, catching rainbow trout for breakfast (nothing like a freshly grilled trout for breakfast), and hiking mountain trails. When in high school I’d join friends for day long hikes in the nearby mountains, or go swimming in remote areas of Lake Pend Oreille, Idaho’s largest lake. At 65 miles long, and located in the northern pan handle of the State, it is the fifth deepest lake in the United States, measuring 1,150 feet deep in some areas. The lake’s 111 miles of uncrowded shoreline, permitted many an adventure, and instilled in me a love of nature, and the great outdoors. The waters of this lake are so pure, many people who have built homes on the lake’s many islands, simply pipe their water from the lake, with no treatment necessary. Every Summer, I try to get away for a few days of bass fishing with my brother, Dwayne, boating up the Clark Fork River, a tributary of Lake Pend Oreille. We feel like our Viking ancestors, as we move ever deeper into wilderness, entering the remote territory of moose, elk, bear, and eagles. We both consider ourselves environmentalists, and as stewards of the natural resources God has given us. The Redwoods of Northern California are another special place for me. These towering giants have beckoned me since I first entered this primordial forest back in the late 1960’s. 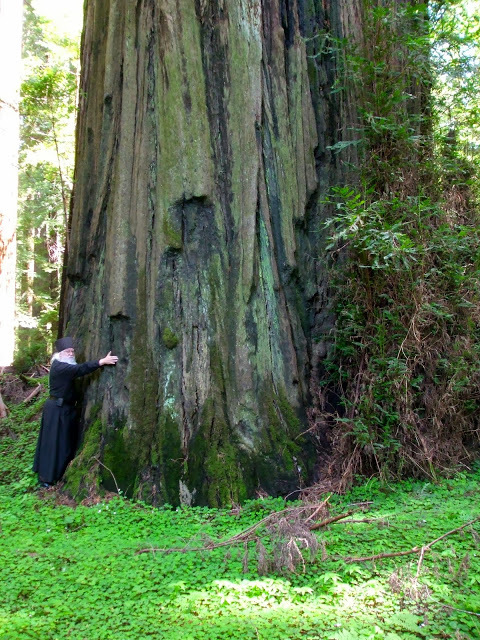 One Redwood tree is particularly special to me, for it was the first tree I ever hugged (yes, I’m a tree hugger), and I’ve made it a point to hug that very tree since I was twenty-two, and have photographed many a friend embracing that tree, including priests who will remain anonymous. Orthodoxy has never viewed the environment, nor the natural resources, for plunder. 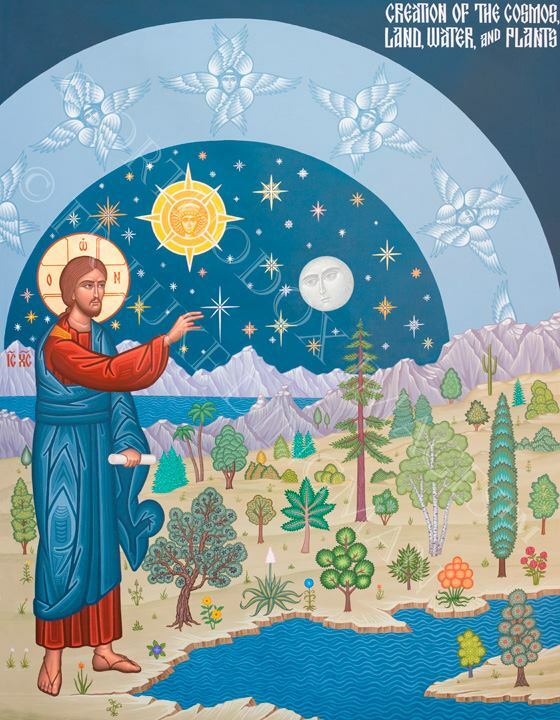 Orthodoxy has historically viewed the earth as a place to be nurtured, protected, and preserved for future generations. The vast areas of Russia that were plundered and laid waiste, happened under the godless Soviets. The great forests that surrounded Athens and Thessaloniki, built by Greeks, who used stone for construction, were cut down by the Turks, who built only with wood. Orthodoxy conveys a profound understanding of creation, and the role of humanity as the priesthood of creation. As creatures who are able to alter and reshape the world, we are bound by the Creator to be good stewards. As the whole of the cosmos has worshiped the Creator, we have built churches that represent a microcosm of this very universe. The promise of redemption is for all of creation, and is the gift of salvation wrought by Jesus Christ. Father, thank you for this blog. I have been argued with by many (fundamental) Christians on this topic. They interpret man over nature as being God gave man nature to use for his needs…I have always seen understood of scripture as God gave man the earth to care for. You have put this so well, I will save this blog to share in case such a conversation come up again…and I am sure it will. Ever since I met you in Russia (May 7, 2007) on the Feast of Ascension, at the Signing (Christ the Savior Cathedral) of the Russian Orthodox Church coming together, I have been following your daily writings. I have never disappointed me with your e-mail homilies. They are full of love, insight and spiritual ‘boost’ that I personally need from time to time. Thank you. buddies ans also sharing in delicious. And obviously, thank you to your sweat!